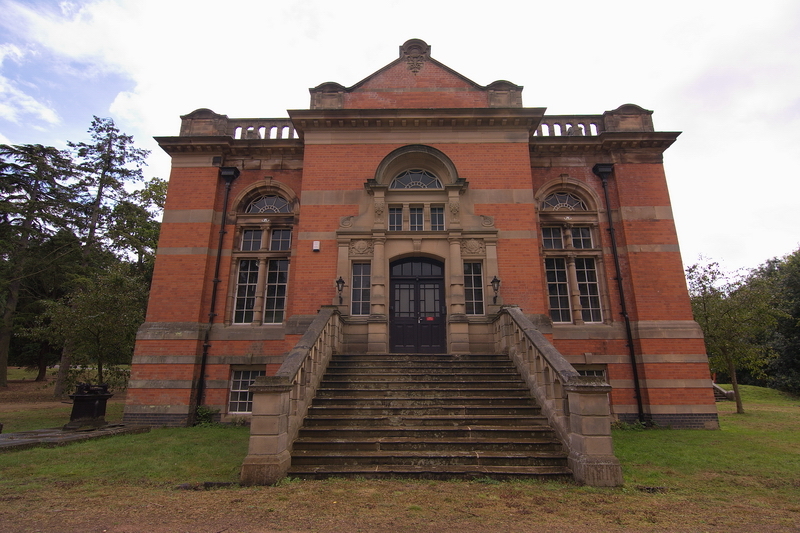 The 5th July 1894 was the ceremony for the cutting of the first sod in the presence of 2-300 invited spectators and Swithland Reservoir and Water Works was completed two years later in 1896 to the designs of architects J B Everard and Everard and Pick. 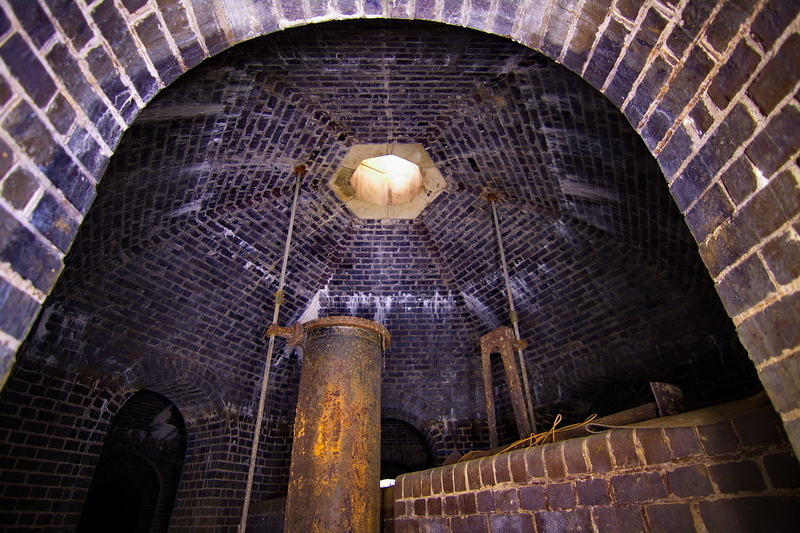 Our sole interest on this visit however was the hexagonal Victorian underground reservoir underneath an elaborate octagonal stone gazebo. 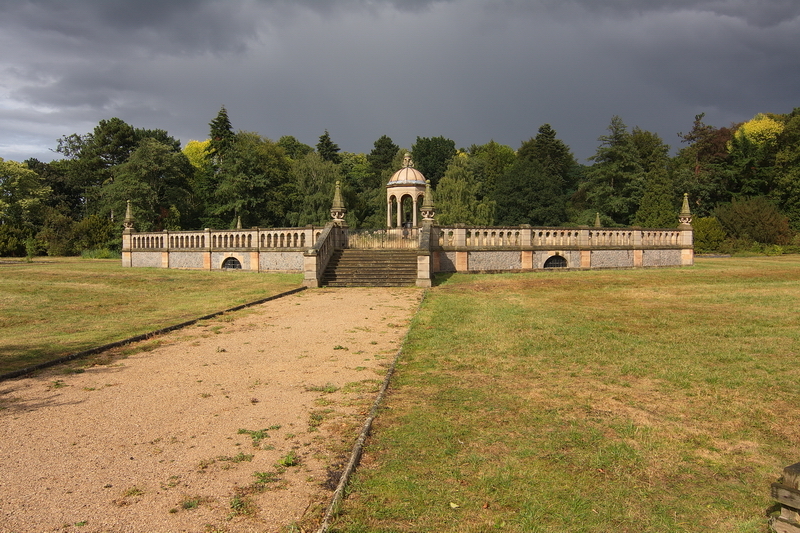 This sits on a large stone plinth and has 8 Doric Roman columns supporting arches, entablature and a lead dome with a carved stone lantern on top, surrounded by six further hexagonal Filter Beds which cleaned the water from the open reservoir before supplying the City of Leicester. 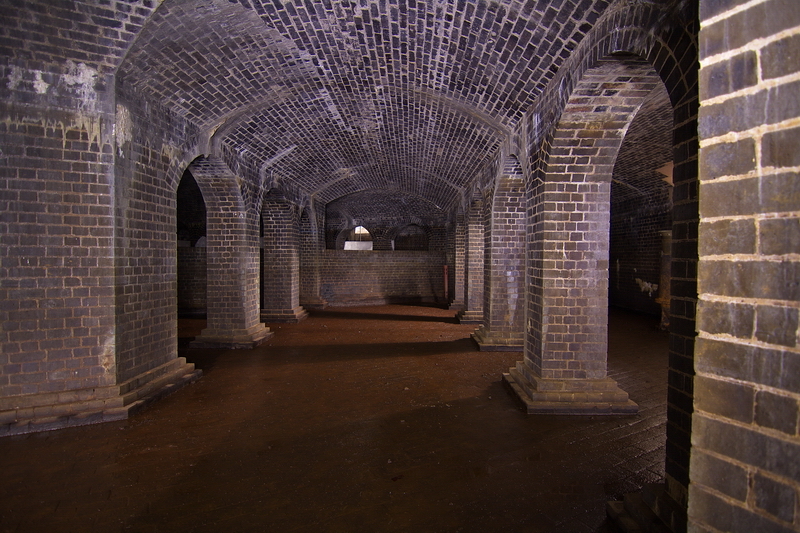 The sole purpose of the gazebo was that of an air vent for the underground reservoir and is typical of the over the top, detailed Victorian architecture found everywhere at these waterworks…Everywhere you look is red and blue brick, dressed stone and wrought iron!! 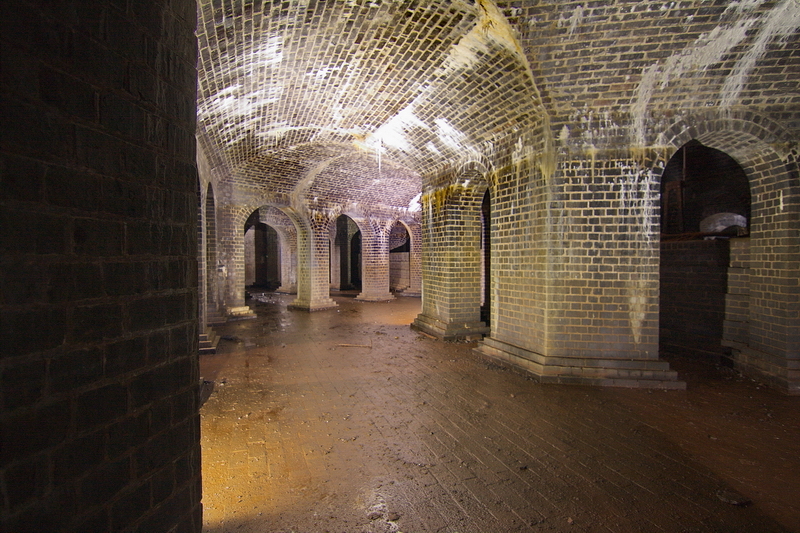 The underground reservoir could be discharged out into the small river behind the waterworks by way of buried cast iron pipes leading to an ornate octagonal Excess Fountain built from blue brick and two small, stepped, overflow channels reached via a dressed stone bridge with carved Renaissance obelisks running over a granite lined stream. Also amongst the woods is a large pond with sluice gates. The rest of the site is worthy of mention and might form part of a report on a return visit. 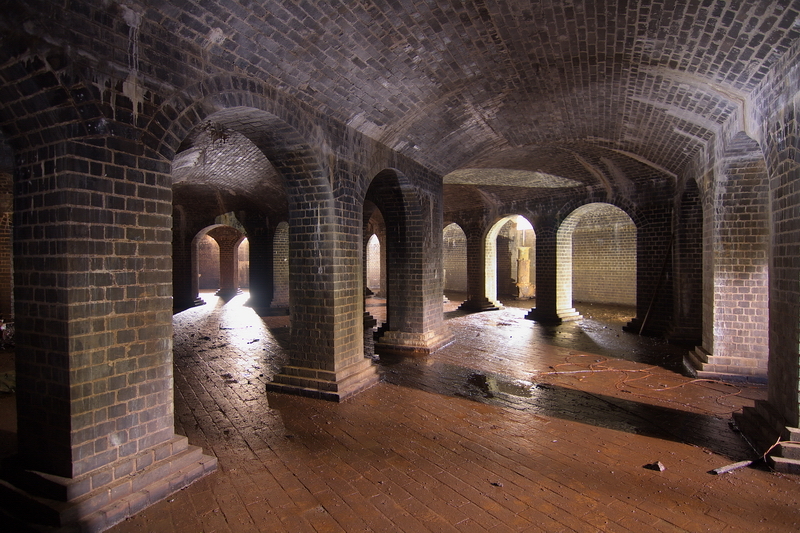 There is an amazingly ornate Draw Off Tower at the edge of the open reservoir and some incredible brickwork arches forming part of the overflow and huge granite lined Spillway. 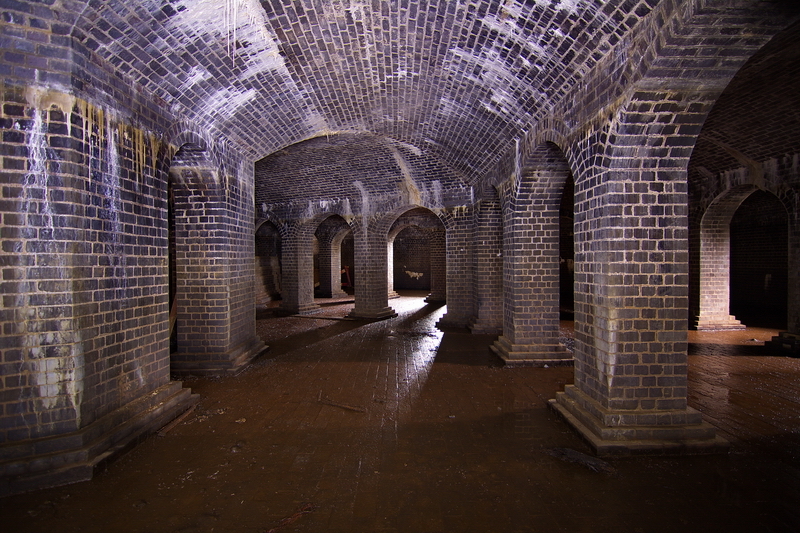 Large cast iron pipes are visible all over the place and and we came across some beautiful Victorian Penstocks in the woods. 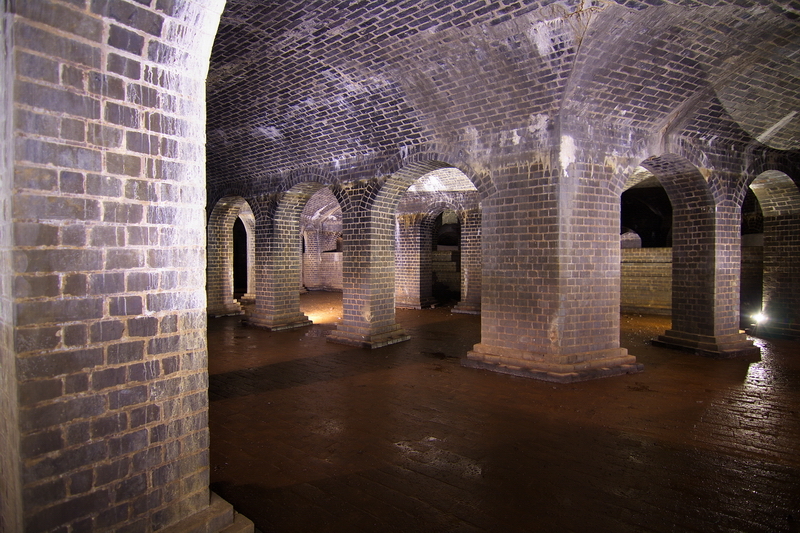 The entire site is now grade 2 listed and owned by Severn Trent water works. Also running across the reservoir is the Great Central Railway and we saw several steam loco’s flying across the viaduct while we inserted and extracted from the site dodging the throngs of tourists. In 1893, the Manchester, Sheffield and Lincolnshire Railway received the Royal Assent for the construction of the new mainline from Annesley, 12 miles north of Nottingham, to London Marylebone. The line opened for coal traffic in July 1898. The following March, the Great Central Railway ran its first passenger train from Marylebone Station, and soon lived up to its slogan, `Rapid Travel in Luxury’. However, the motor car began to have a serious effect on the railways in the 1950’s and long stretches of the line were closed in 1966. Today, the Great Central Railway is one of the few railways in the world where scheduled full size steam trains pass in motion on a double track. In 1969, a group of enthusiasts decided to recreate for future generations the magic and nostalgia of the great British age of steam. Eventually it is hoped to link Nottingham and Leicester. Woah! The Gazebo style air vent looks awesome, Nice work. This place is worth a look if you ever venture down south. Was googling around this particular site as I saw it two weeks ago when I went for a walk down to the reservoir, I’m not local to the area. I’m fascinated by Victorian things so I was planning on returning and hopping the wall down to what I presumed at the time were derelict gardens – which I now learn are filter beds. But I was shocked to find you can go underground! Can I ask, how did you get access to the underground portion? As I would like to have a nosey myself if it’s safe. Access is obvious once you are in there however it would be inappropriate for me to guarantee anything being safe. Thanks, I’m going to go and take a look with my girlfriend next week sometime perhaps. I understand there’s a big stately home associated with these though, does someone live in it or is it derelict, or kept but locked? I have been there a couple of times and love it. When you say access if obvious when you’re there…how exactly did you manage to get down there? and did you have any equipment with you? Or can you easily pop down and get back up? How dangerous do you think it would be to swim in the pond through the woods? If you go down and look the access is obvious and easy, not much more I can say really. 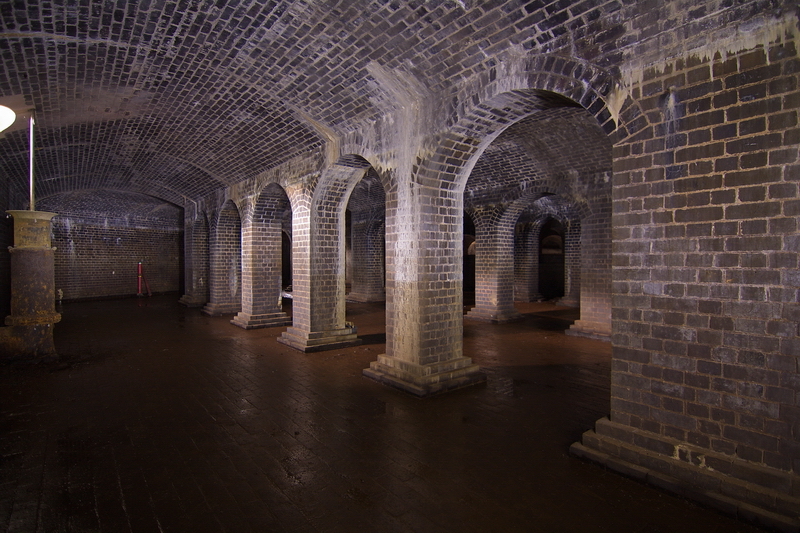 been there so many times and never knew about the underground area! 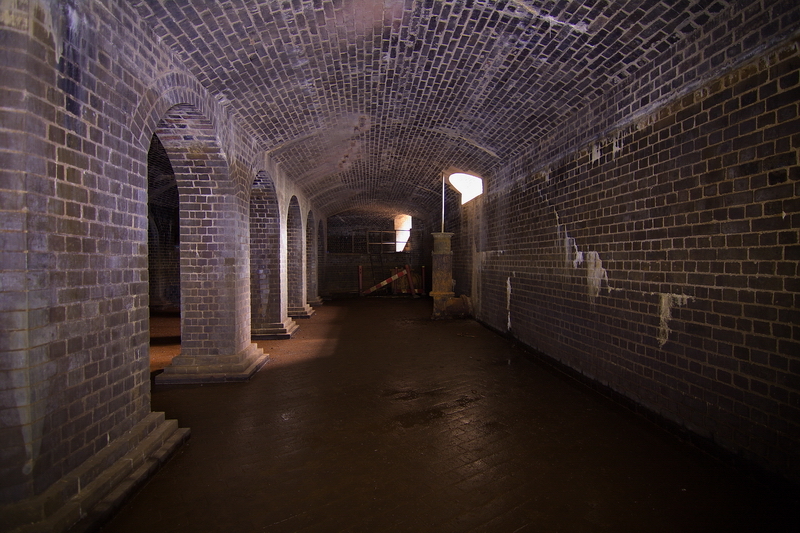 is it accessed through the tunnel where the pipe is? really have no clue and never noticed any access to it so im very confused. could you give a little clue? great pictures by the way, they really do it great justice. i imagine the place is flooded after all the rains we’ve been having! Thank you for the awesome pictures. They are truly beautiful. Do you have any more picture of the surrounding houses? 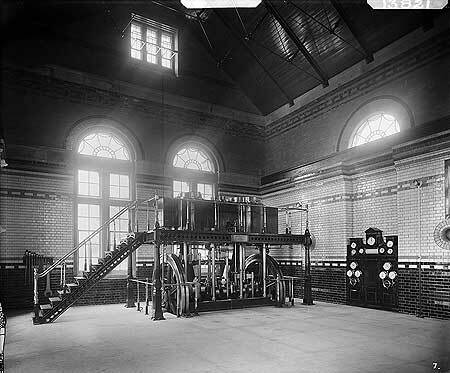 I thought the last picture was beautiful.s it the pump house? and is it empty? Hi, thanks for the comments. 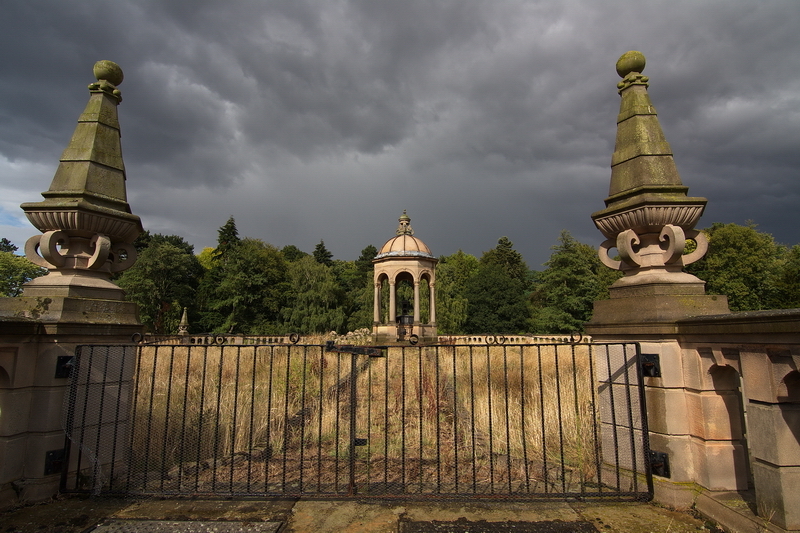 Just these pictures, might go back for a revisit this summer though. 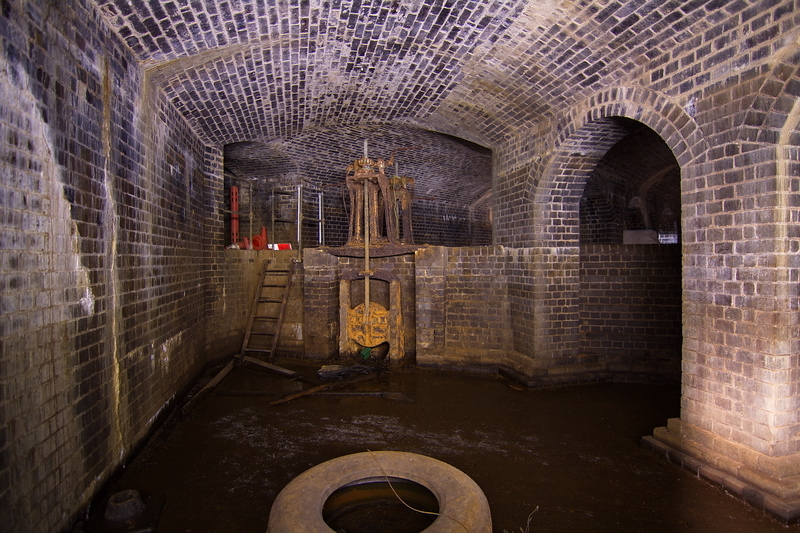 Correct, the last picture is the Pump House and is ‘live’, containing modern pumping equipment. p.s. 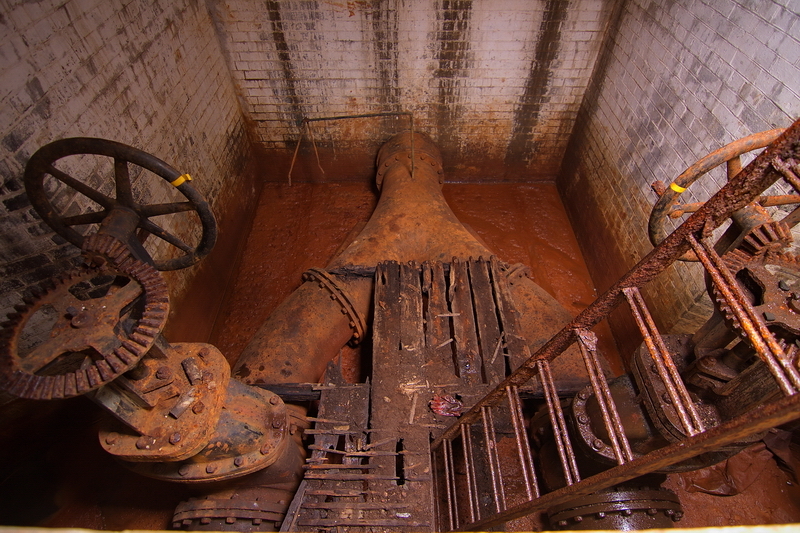 fixed the missing first picture in this post showing the original pumping engine! Thanks for using my photos without permission, yeah you credited me but I did not approve of their use.